The East India Company grows quickly through the delivery of exotic goods from New World and Far East – but to operate on such a large scale, the company needs money, so the first world stock market is opened in Amsterdam. Rich citizens see the opportunity to acquire even more riches, so they invest in the stock market, while also wanting to take part in even more opportunities to make profit. Thus, much wanted exotic goods can be bought and sold, too, and with no secure routes a player can make even better profits by trading them. 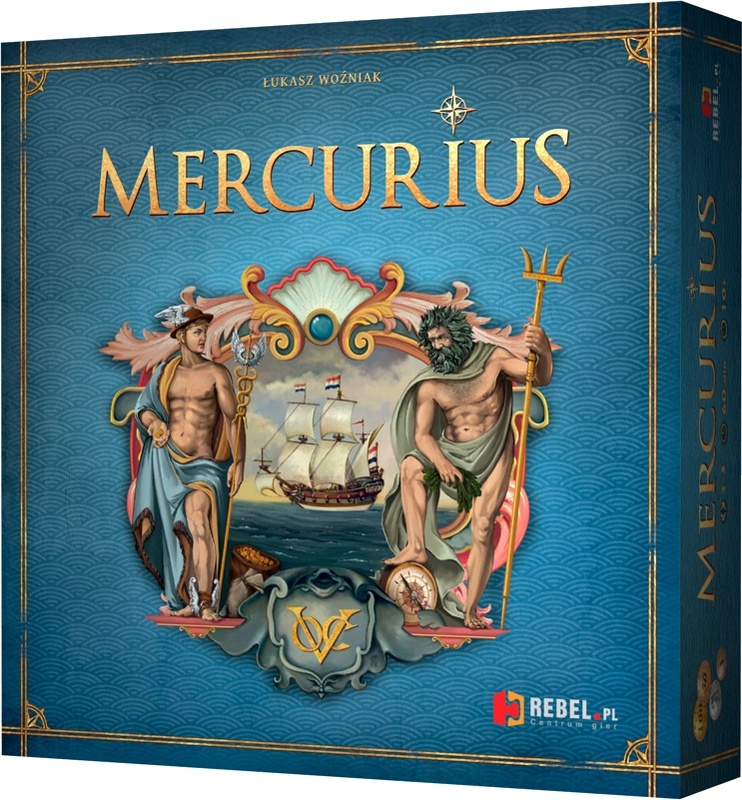 In Mercurius players take on the role of rich citizens in Holland in the 17th century. They invest their money in stocks of different branches of the East India Company or try to earn much more profit through risky trade in exotic goods. Players have their own information about activities in the far lands and about events which can influence prices at the market, but each of them sees only part of the picture, so they have to look at what other players are doing and which prices are influenced by them. 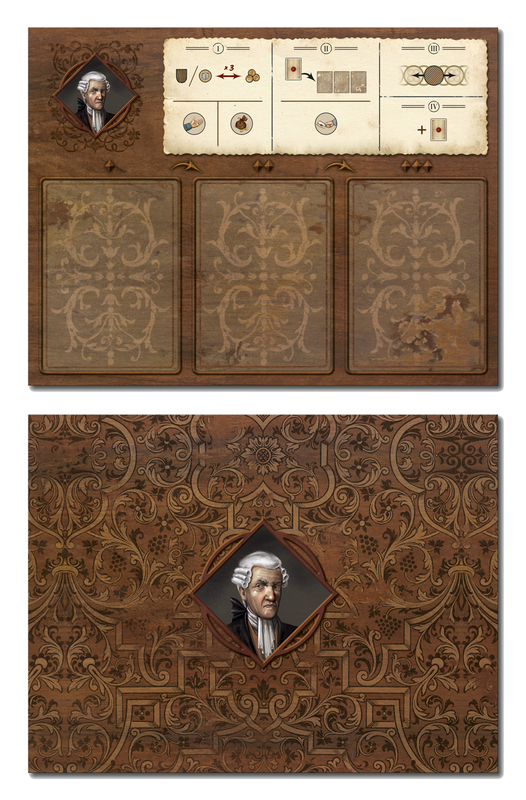 Players have starting cash at the beginning of the game, along with five "changing prices" cards and four cards which allow them to take special actions during play. The game board shows prices for stocks of six branches of the East India Company and for six goods those branches trade. 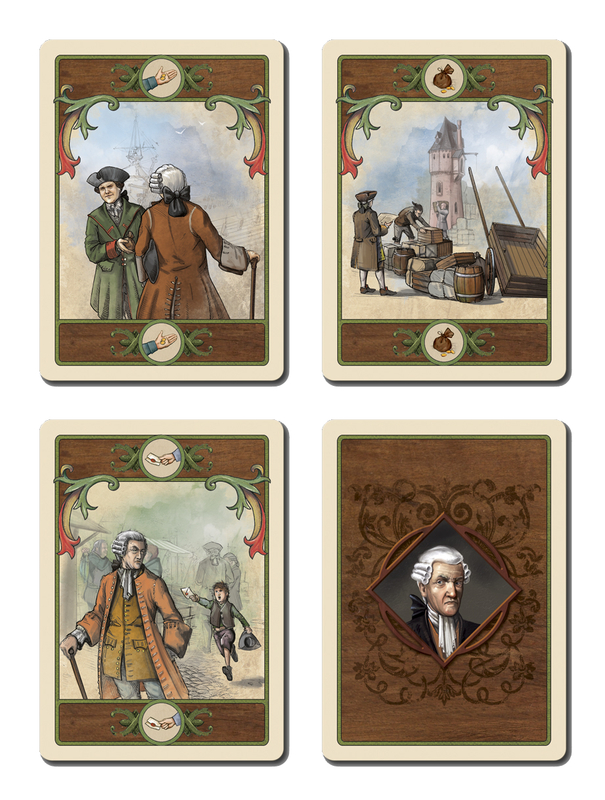 On a turn, a player can make up to three purchases or sales of stocks or goods as he wishes. He then plays one "changing prices" card from his hand. Each card changes the price of one stock and one good. Each card changes the prices three times, once on the turn it's played and on two consecutive turns. The tricky part is that cards move the value of goods twice as much as the value of stocks, so players can earn more by trading goods – but doing so is far more risky. 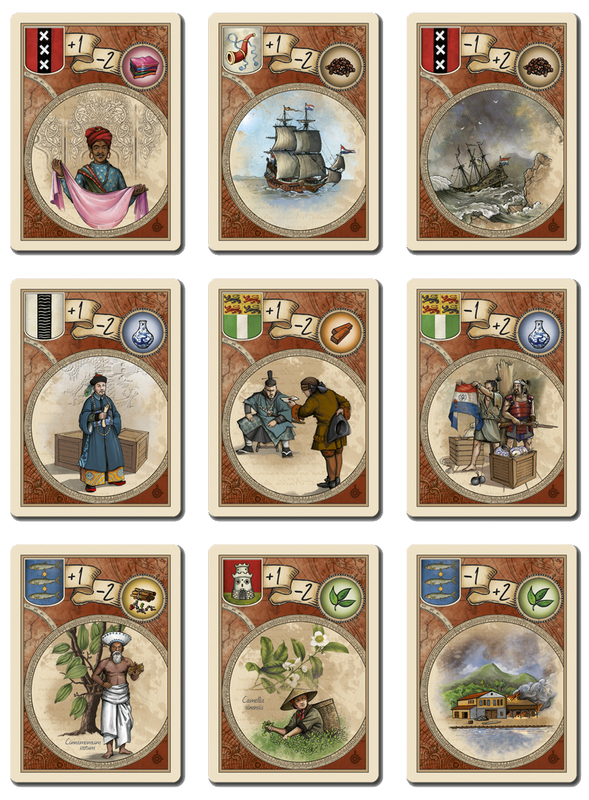 Who will become the richest citizen of Holland and win the game?